2015 Dolphin Encounters – the experience of a lifetime! Ride, play and swim with dolphins in paradise, and become a Dolphin Trainer for a week! Enjoy a week of intimate hands-on connections with some of the most fascinating and lovable creatures of the sea – the bottlenose dolphins. Stay at one of the world’s most beautiful and secluded tropical island resorts in the Caribbean. Relax in a private hammock, horseback-ride along a white sandy beach and snorkel spectacular unspoiled coral reefs. Accommodations are in tropical bungalows with air-conditioning and private baths. Also see the book Dancing on Water: Adventures with Dolphins, Whales and Interspecies Communication by co-facilitator Karin Kinsey (available via the website). 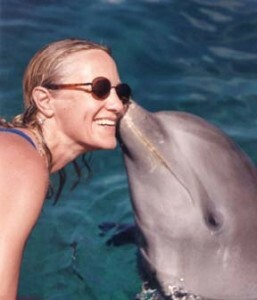 For book, Free DVD and brochure, call , or visit our website www.dolphinpress.com/swimwithdolphins.htm.